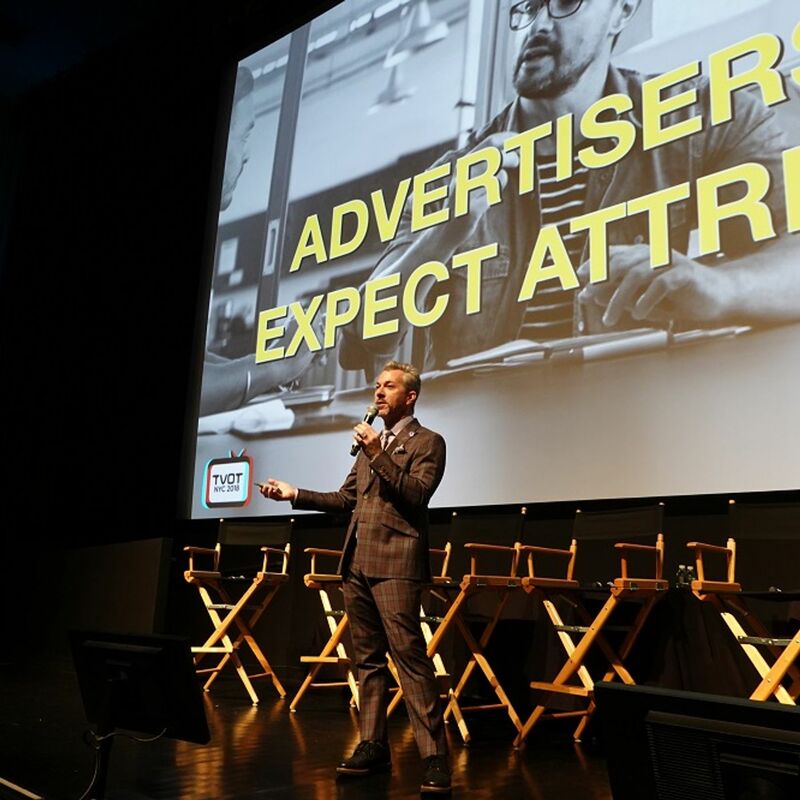 [itvt] is pleased to announce the schedule of sessions for TVOT NYC 2014, our fifth annual East Coast TV of Tomorrow Show event (Tuesday, December 9th, at the SVA Theatre, 333 W 23rd St, New York, NY). 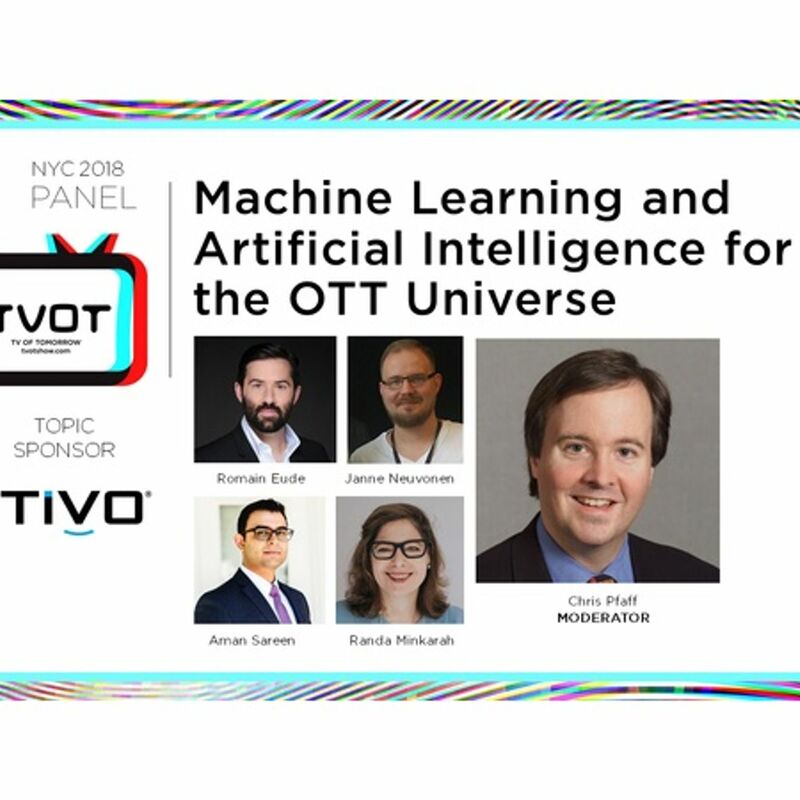 TVOT NYC 2014 will pack all the excitement of our flagship TV of Tomorrow Show into a highly focused, dialog-driven, one-day event. It also represents your last best chance to network and do business with your industry peers before the holiday break! Tickets to the event (priced at $1,075) are still available for purchase here. We advise purchasing your tickets as soon as possible (tickets will be priced at $1,275 at the door). The official Twitter hashtag of the show is #TVOTNYC, and the official Twitter account is @TVOTshow. We will be announcing more details about a number of TVOT NYC 2014 keynotes, panels and presentations in upcoming issues of the [itvt] newsletter. Today there are opportunities for the discovery and consumption of television programming and other video content on a huge range of digital platforms, both through standalone over-the-top services, and through media companies' adoption of the "TV Everywhere" distribution model. Content is King and it is now accessible across an array of devices--providing a vast media playground for the consumer, who is now in control of what they watch and when they watch it. But how to measure the consumption of this content, when it is taking place in so many diverse ways? Few questions could be more pressing for the industry--after all, ratings have always been crucial to the economic viability of television. TV Everywhere 5 Years On: What's Working and What Needs Work? This session will examine how far TV Everywhere has come in the five years since it was first introduced, identify the barriers that still stand in the way of its continued growth, and explore and assess new solutions for removing those barriers. Panelists will also discuss how we should envision TV Everywhere's true potential and debate how effective the industry is proving at educating the market and evangelizing that potential. 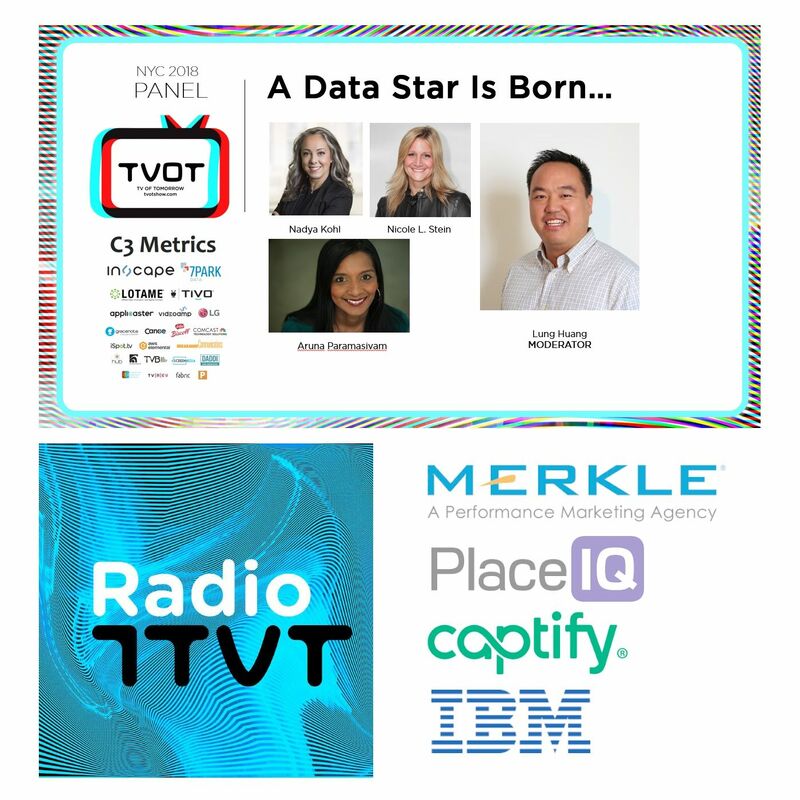 This session will examine the many ways in which our ability to understand and generate data about the television audience is evolving. Among other things, panelists will explore how measurement companies are adapting their techniques in light of TV Everywhere, unbundling, and other phenomena that make television an increasingly IP-delivered, cross-platform, time- and place-shifted medium; how the measurement space is responding to the fact that non-traditional programming (such as YouTube channels, smart-TV programming services, etc.) is becoming increasingly popular among Millennials and other younger viewers; and how new techniques are emerging for deepening our understanding of the TV audience, its habits and its motivations, including techniques for relating viewing directly to purchasing behavior, and techniques that encourage viewers to help generate detailed data about themselves. Sanjay Macwan, CTO of NBCUniversal Media Labs, will discuss the future of storytelling and what consumers can expect with the emergence of today's technology. Through this conversation, Macwan will highlight some pivotal themes, including Content Finds Consumer, New Forms of Storytelling Driven by Technology, Advertising Personalization and Immersive Content Experience. In addition to providing a reliable income to content owners, MSO's (and virtual MSO's) take on a role of selling and servicing individual customers--in effect a retail business model. One of the implications of the Great Unbundling and of content owners going "direct-to-consumer" is that those content owners are entering the retail marketplace and will need to be able to handle all of the technical and operational issues that come from that decision. Moving video content from a server to any screen is only part of the challenge--a complete digital media supply chain for an unbundled world needs to encompass sophisticated cataloging, commerce and customer service operations, as well as the basics of having a solid media distribution infrastructure and user experience. What Does the Child of Internet and TV Advertising Look Like? The convergence of TV and Internet advertising is coming. But when they combine, what will their offspring look like? Which parent's genes will it inherit? What are the defining characteristics that need to be preserved for the sake of big TV advertisers, and what can be shed to appeal to a more digital-savvy audience? In a highly competitive television marketplace, the winners will be those who can achieve high marks in every dimension of the user experience. As businesses battle for supremacy, or seek to disrupt the status quo, each must play to its strengths, using artful defense and offense. Whether you're an incumbent, an upstart, or a supplier, a 360-degree view of the UX will be essential to succeed. 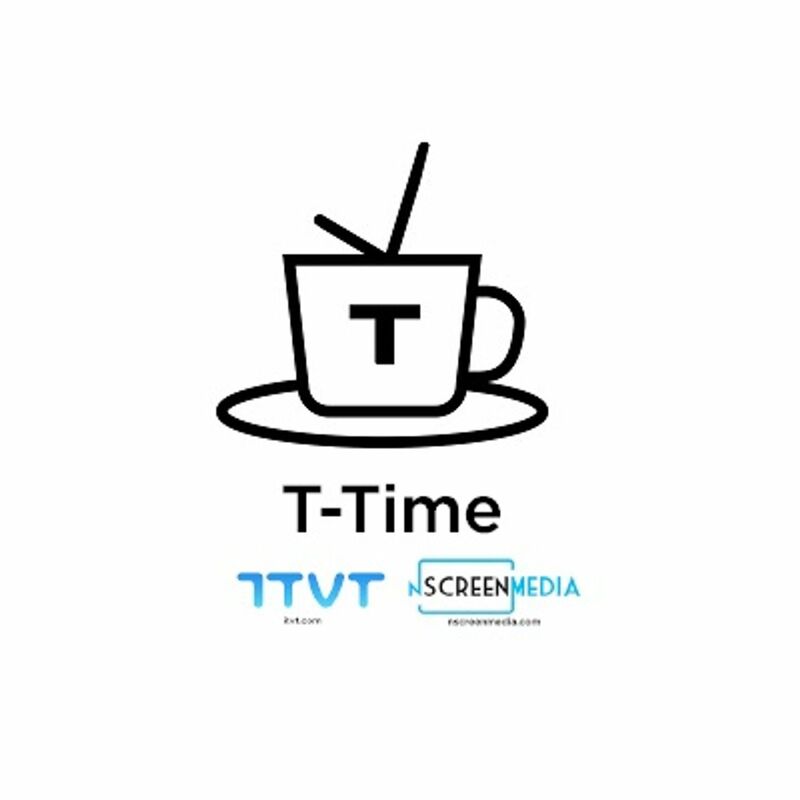 We will be announcing more details about this keynote session, featuring cable-industry advanced-TV pioneer, Michael Willner, in conversation with [itvt] columnist, Rick Howe, The iTV Doctor, in a future issue of the [itvt] newsletter. In the last few months, we have seen announcements from a range of subscription television providers, as well as television networks themselves, outlining their intentions to go "Over The Top" with subscription video services marketed direct-to-consumer. This session will focus on the consumer-facing strategy for OTT and The Virtual MSO: What's the right product mix? Do you focus on value pricing, premium pricing or competitive pricing? How do consumers find what they want to watch, and how do they pay for it? TV today is just video, and audiences don't care about the first screen or the second screen; they care about the Best Screen Available (BSA). What does this mean for broadcasters and how they package and value their products to serve brands? And how do brands retool their advertising roster and business to ensure that they are continually chasing maximum reach and ROI on their spend? B.Bonin Bough, Head of Global Media at Mondelez (33rd-largest media buyer in the world), sits down for a fireside chat with Ashley J. Swartz, CEO of Furious Corp, to discuss why, despite the fact that the business of TV and TV advertising is harder than ever, it is still a winner. Are We Ready to Shift the TV Advertising Business from Media Outputs to Business Outcomes? All across the media business, marketers are trying to synchronize the measure, value and direct impact of media across an ever-expanding plethora of platforms and devices. It's a daunting task. The TV industry is the laggard vs. digital in this respect, because the business was built off of proxies and broad audience characteristics, while digital offers a one-to-one, measurable promise. It's time to shift results to focus on business outcomes. Media delivery metrics are by definition unique to each and every media channel. Outcomes aren't. Leads generated are leads generated. Sales are sales. Outcomes are the only metrics that truly matter to the marketer (and their bosses and owners). CEO's and shareholders aren't kept up at night by low impression counts or bad viewability. But bad sales are bad for sleep--and bonuses. Connected-TV Advertising: Ready for Primetime? According to a new study from Sony's Crackle and Frank N. Magid Associates, streaming on connected-TV devices (including set-top boxes, game consoles and smart TV's) has seen a dramatic increase over the past year, especially among Millennials; and viewers are now streaming video on connected TV "at a record pace during primetime." An earlier study from eMarketer found that 35.5% of the US population will regularly use a connected-TV device this year. In light of such data points, this session will explore whether connected TV is ready to emerge as a major advertising medium in its own right. Panelists will assess the latest developments in connected-TV advertising, and cast light on some major developments coming down the pike; identify which players are best positioned to benefit from these developments; and explore some of the new formats--including interactive and commerce-enabled offerings, and offerings which bring together first and second screens--which the emergence of connected-TV advertising is making possible. By most accounts, the past few months have been a rocky time for pay-TV: according to a recent report from Leichtman Research Group, for example, the 13 largest operators in the US (representing 95% of the market) lost 150,000 video subscribers in the third quarter, compared to 25,000 in the same period last year; and nary a day goes by without a story appearing in the business press about the "decline" or even the "demise" of pay-TV. 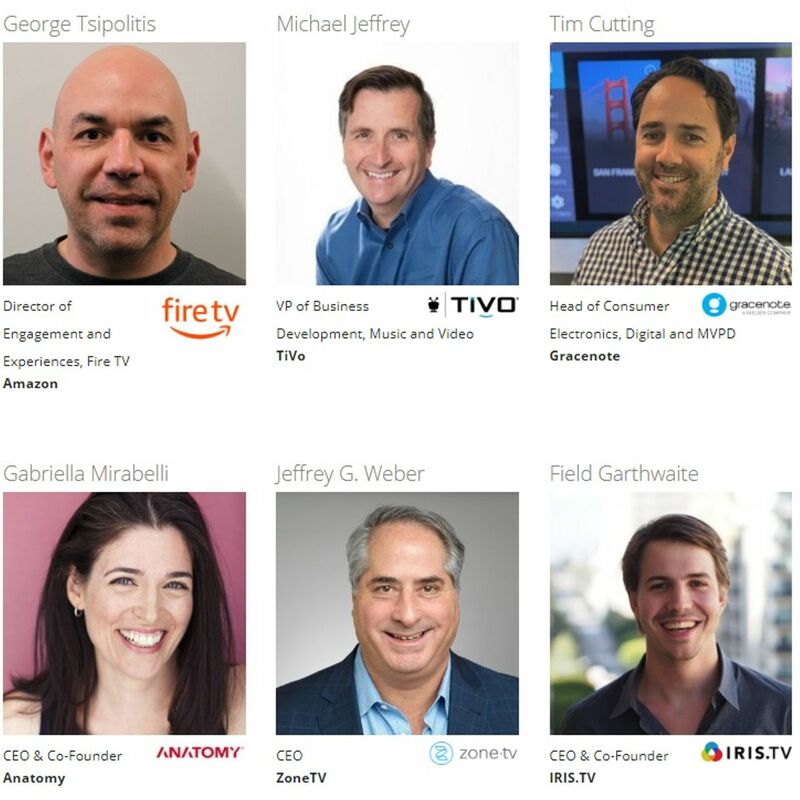 The "Dragons of Design"--[itvt]'s braintrust of prominent TV and video designers--will discuss and judge the finalists of the second annual Interface Showcase, our contest honoring the best TV and video UI/UX designs of the year. In addition to the selection of the Grand Prize winner, this interactive session will invite the audience to choose the winner of the contest's "People's Choice" award. This session will explore how, over the past year or so, established media companies have been investing in and partnering with YouTube multi-channel networks (MCN's) and other specialized online-video companies, in order to build audience reach (especially among Millennials and other younger consumers), capture the increasing interest of brands in online video advertising, source emerging talent and new programming formats, and more. OTT Practical Wisdom I: You've Got your Video Sites and Apps Built--Now What? already. The question on the table is: "Now what?" What more can or should be done to accelerate usage, monetization, loyalty, and customer engagement? This session--which, consistent with its subject matter, will strongly encourage audience participation--will explore the latest developments in interactive, multiplatform (transmedia) storytelling, highlight innovative new projects in the space, and outline some of the lessons that can be learned from them. While addressability is very much attainable in the online world, the question remains: can the ad tech world bring addressability to TV? In this session, Scott Ferber, Chairman and CEO of Videology--who, as founder of Advertising.com, has been called the "father of programmatic buying"--will discuss what comes next in the journey towards a more granular audience addressability on the TV. He will give insights into what it will take before linear television becomes truly programmatic, and the steps needed before this industry is able to fully experience an addressable television market. He will also discuss the ability to tie digital insights back to TV audiences, highlighting real-world case studies, and the future of truly addressable television through set-top boxes and technological innovation. Among the many challenges facing video service providers today is how to measure, and then drive, customer engagement and satisfaction. As video service providers unlock the massive amount of data they have at their disposal, it can provide them with insight into what leads to a satisfying experience and builds trust with the subscriber. Harnessing this metric can lead to increased engagement, and drive incremental revenue and improve ARPU. This special presentation by Chris Ambrozic, Senior Director of Products at Digitalsmiths, will focus on the types of data to measure, what data are important, and how to utilize these metrics to make impactful decisions. The Regulatory "Elephant in the Room"
This session will explore and clarify a range of potential rule changes that could have a major impact on both the short- and long-term future of television and video. Panelists will identify the most significant regulatory changes facing the industry--including some which many in the industry are probably barely aware of--and attempt to assess how they might alter the TV/video playing field, which players stand to benefit most from them, and which players stand to lose. As bandwidth has increased, so has the ability to provide live and on-demand streaming coverage of sports and entertainment. The urgency for rights holders to get their content on any screen is more apparent than ever before. According to eMarketer, digital-video ad spending in the US this year will rise by $1.8 billion to reach $6 billion--which is up 43% from the prior year. In addition, new OTT experiments by TV content creators, designed to garner global revenue streams with an annuity-stream business model and a direct relationship with the consumer, are also growing. This session--which brings together some of the most prominent figures in social TV and video in the US and beyond--will explore how audiences are being assigned an increasingly proactive and participatory role in television and online-video programming, allowing those audiences to influence the course of programs, assist in their promotion and monetization, and in some cases even serve as programming co-creators and creators. A recent study from TNS Global found that nearly half of people who watch television in the evening are "screen-stacking"--using second screens to engage in such unrelated activities as accessing social media and checking email while they watch (no doubt with the proverbial "half an eye"). Our increasingly distracted viewing habits are presumably particularly disruptive for TV and video advertising, which are generally only viewed begrudgingly in the first place--though they also raise the question of whether programming content is enjoying as much viewer engagement as it formerly did, and whether it, like advertising, might need to reinvent itself as a result. This session will explore how new developments in addressability, dynamic ad insertion and data generation are being brought together to recreate TV advertising as a truly intelligent medium--one that (in theory, at least) ensures that the right message is always in front of the right viewer on the right platform at the right time. In addition to assessing the progress made so far towards this end, the panelists will attempt to envision the impact that this reinvention of TV advertising will have on the television and advertising industries at large.